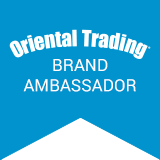 Thanks to Oriental Trading for providing some of these products to make our Halloween vamptastic! You may not like things that go bump in the night, but who doesn’t love a little spooky glow on Halloween night? 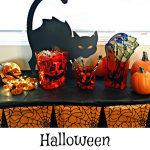 Glow sticks can be fun to decorate with and kids are always enthralled with them. 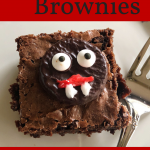 Choose items that glow for some food-free fun to pass out for trick-or-treat this Halloween. 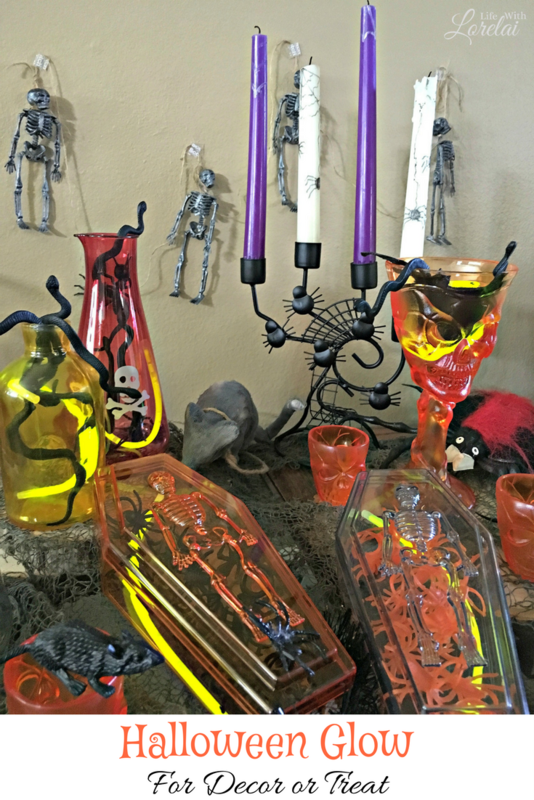 Create your own eerie apothecary vignette to dazzle your guest for a Halloween party or trick-or-treat. We just added glow sticks to different items in the apothecary to make them glow. 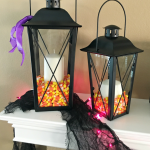 They are also great when you tuck them into mason jars and use them as path lights. Super simple, right? 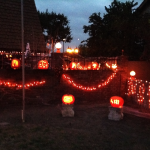 Look at that spooky Spider Web Candelabra. Isn’t it fun? I used it as part of my Halloween Mantel Decor. I decorated the candles with spiders to make them extra creepy. 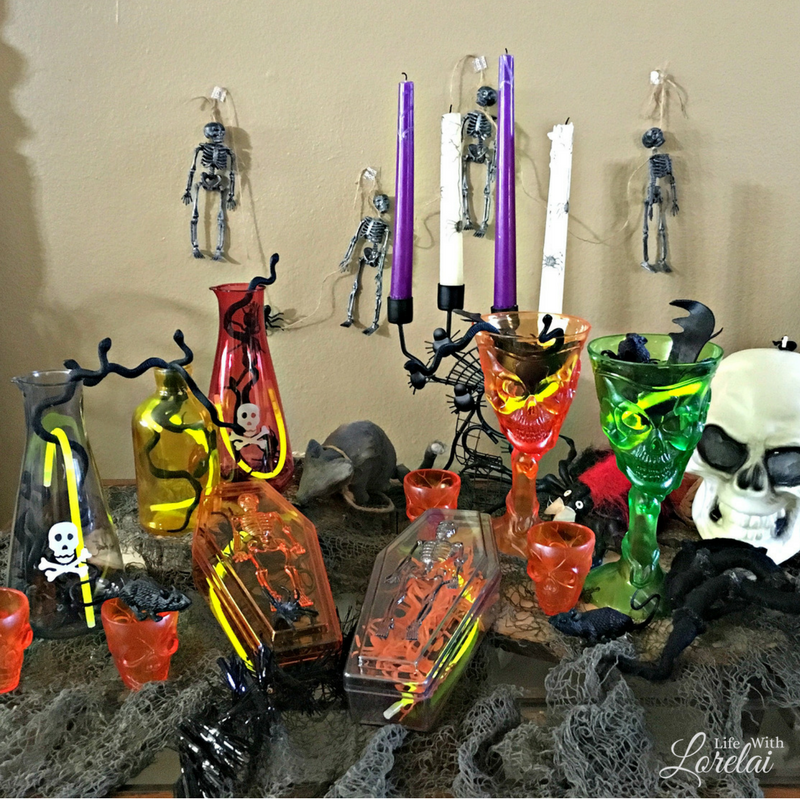 Check out this DIY to make your own Spider Candles. 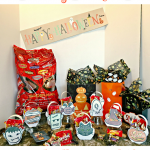 Oriental Trading has lots of glow options available that make a perfect food-free option for trick-or-treaters or classroom parties. 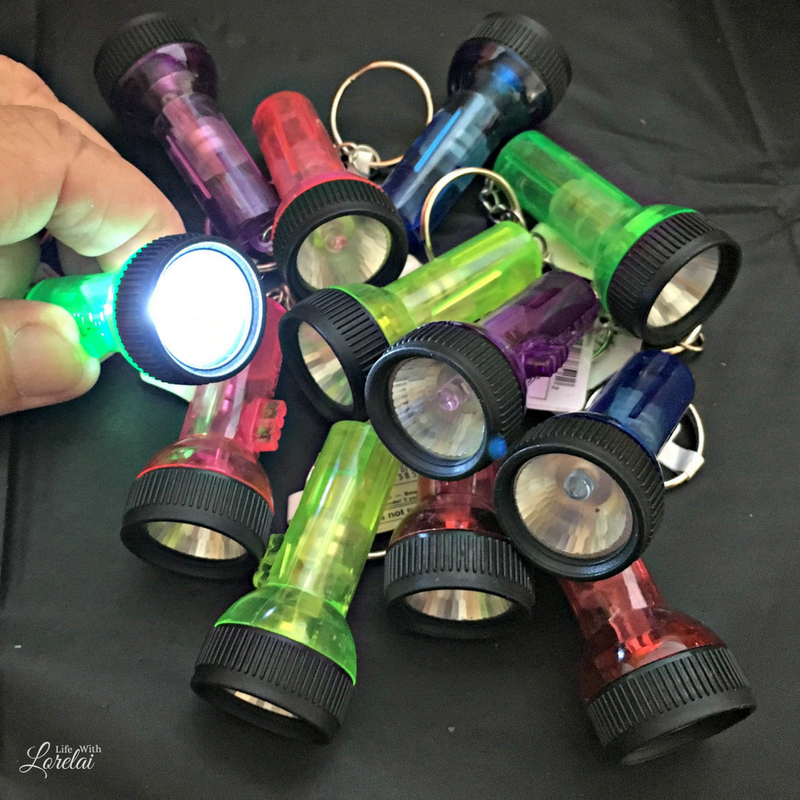 We picked up the Halloween Glow Bracelets with Card and the Large Beam Flashlight Keychains. 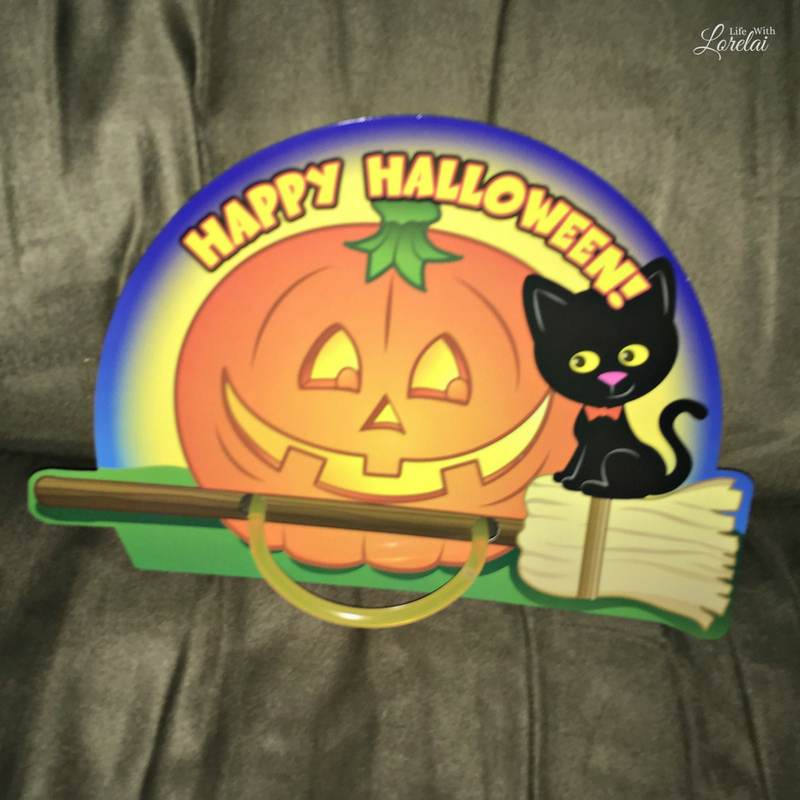 The cute and cheerful Halloween card has holes to attach the glow bracelet and the flashlights come in a variety of six different colors. 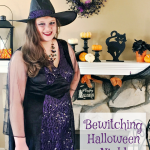 If you are looking for fun ideas for Trick-or-Treat this year, Oriental Trading has you covered for all things Halloween. 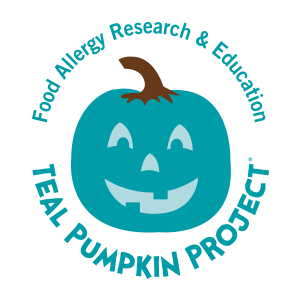 The Halloween Glow, toys, games, and more are perfect for those supporting the Teal Pumpkin Project® and providing food-free options for kids with food allergies.